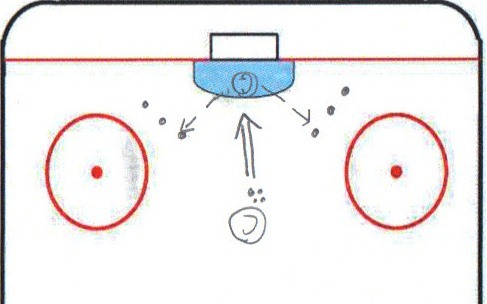 Remind your players that this drills is designed to make them think about chasing a puck in the last minute of play and they have the chance to end the game, stop a goal, etc. I always run this the last 5 minutes of practice when they are tired. I remind them there is no time to be tired and out of breath at the end of the game. 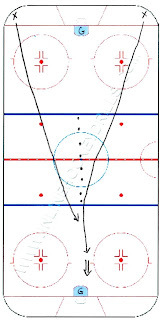 Great website for learning hockey drills. 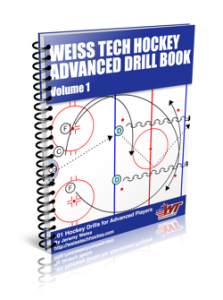 It has one of the bests hockey drills online available.Any hockey player who cannot afford hockey training can learn a lot from the drills on this website.